We provides electronics assembly services, hardware, contract manufacturing, and turnkey manufacturing services. Our PCB fabrication, assembly, and supply chain management capabilities make us a one-stop-shop for all your Printed Circuit Board needs. We strive for our customers to feel that our service is so unique and valuable that they would want to work with us forever. We understand that you want solutions - you want what you need and not what a boardhouse wants to sell you. Through a diverse portfolio of vendor relationships, our offering of borderless boards ensures you are satisfied with the end result. 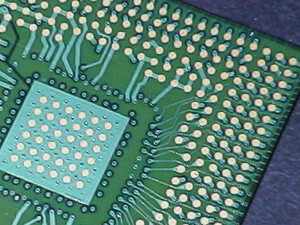 We specialize in all printed circuit boards including flex PCB, metal core PCB and military PCBs. Our HDI PCB capabilities push our borderless board offering further with much higher wiring densities and finer lines and spaces. MOKO is your single source solution for printed circuit board manufacturing. View our full offering of PCB production capabilities and register today for an instant PCB quote from our online quoting system. Our experts are available to consult you on your PCB fabrication project via phone, email or live chat. From PCB design to PCB manufacturing, MOKO does it all.